the other section remaining at the Old Cricket Ground Chapel, under the name of the United Methodist Free Church. Adeline’s sequence of events is suspect here. 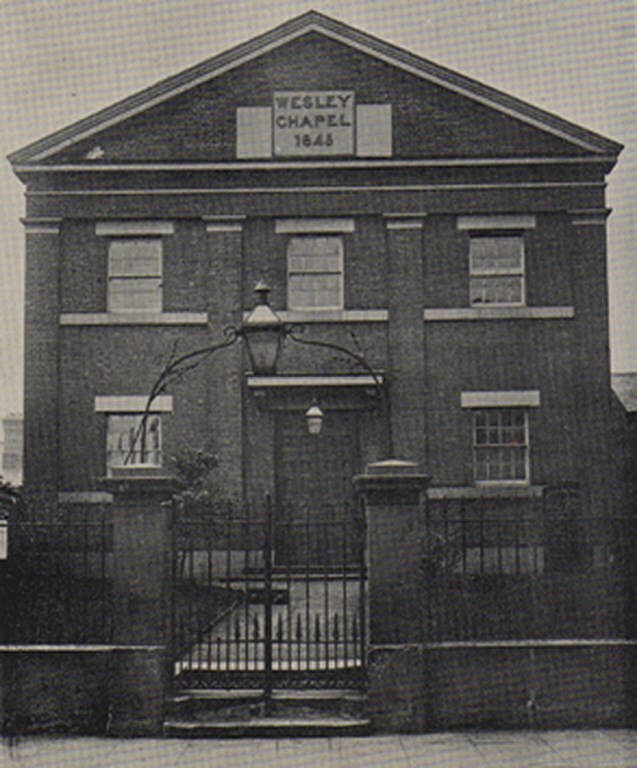 The Wesleyan South Street Chapel was built in 1845, before the publication of all the ‘Fly Leaves’ and before the split in the Wesleyan Church. Bagshaw’s Directory of 1846 lists all Ilkeston’s churches and chapels of that time, one of which is occupied by the Wesleyan Methodists – referred to simply as ‘the Methodists’. 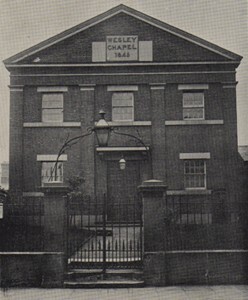 This is the new chapel, erected in South Street in 1845. Bagshaw describes it as “a handsome brick chapel with stone dressings, costing £1200, to seat 600 persons. It is 48 feet by 39, with galleries on three sides, and an orchestra behind the pulpit”. The Directory makes no mention of a second group of Wesleyans and writes that the old (Cricket Ground) chapel will be used “as a day and Sunday school”. Still united, the Wesleyan Methodists moved into the South Street premises from the Cricket Ground Chapel which they kept as school rooms. The reason that a move was necessary was because the old chapel was proving inadequate for a packed congregation; a larger place was essential. A Post Office Directory of 1848 uses almost exactly the same description as Bagshaw, suggesting that in that year the Wesleyans were still united at South Street (although directories were known to copy from earlier editions). A traditional story tells of the Wesleyans being so keen on their new church that women members helped carry the bricks to build it from Dale.